Laura Moore is a trust and estate professional who has helped individuals and their families plan and navigate life's transitions for more than forty years. 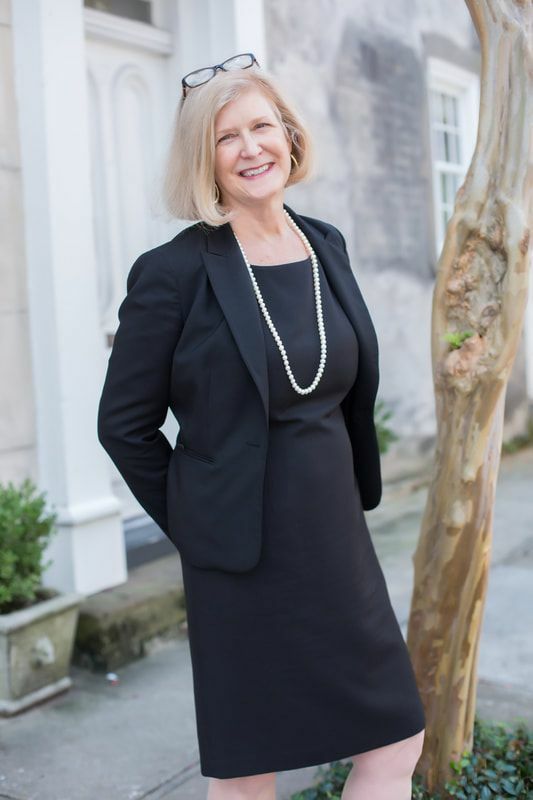 A 2010 graduate of the Charleston School of Law, she incorporates her many years of experience in both trust banking and legal services into her practice. She was the first female member admitted to the Charleston Estate Planning Council in 1979. She is a Past President of the Council, and a current member. Her entire professional career has been spent in Charleston, South Carolina, where she is well known for responsive personal service and attention to her clients. She is an AV Preeminent Lawyer (Martindale-Hubbell). Life is a plan in process. Laura focuses on education, so her clients understand the impact of their future and continuing financial decisions on their existing plans—and also understand when changes to those plans should be considered. She also believes in maintaining a low overhead practice in order to keep legal fees affordable. Laura offers assistance to survivors and fiduciaries, guiding clients through the estate settlement process, and simplifying trust administration. She coordinates efforts with her clients' other advisors and financial service professionals. She also assists other attorneys in trust and estate matters, serving as Guardian ad litem or Special Administrator. She is also a certified South Carolina Circuit Court mediator.